“Terra” was one of the winning entries of the SPACES competition for the Interior Biennale of Kortrijk 2016. 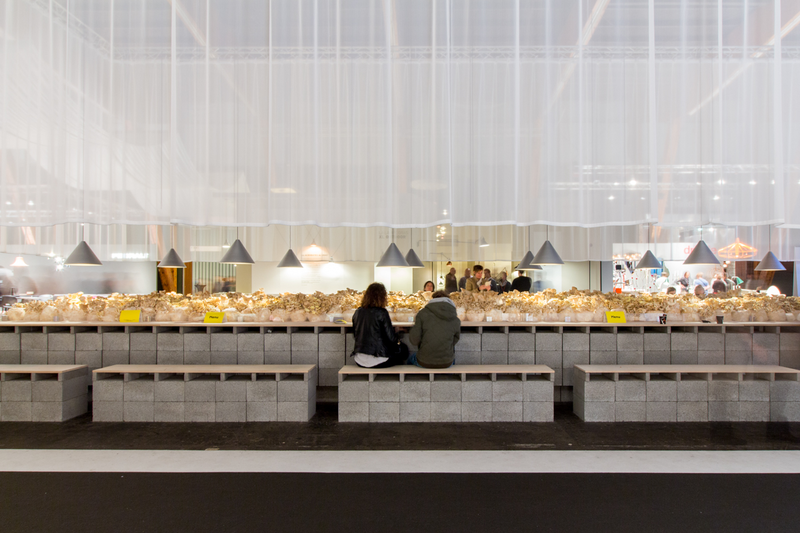 TRANS aimed to gather people around food and thus designed a simple rectangular bar made out of concrete and wood, where mushrooms take the center stage. I was asked by TRANS to photograph their bar and was quite impressed with their work and they way the public interacted with it. Passersby seemed to be drawn to the field of mushrooms and stopping to smell them was no exceptional behavior. Speaking of work, I’ve recently decided to take a little break from working in architecture and focus on my photography, interior projects and the blog instead. I’m really excited about this new turn (and a little nervous I’ll admit) and I can’t wait to see how this evolves… Stay tuned! Office for architecture and urban planning TRANS has asked me several times to document their Balenmagazijn project, from when it was still under construction to when it was finished with its reflective extension on the roof. 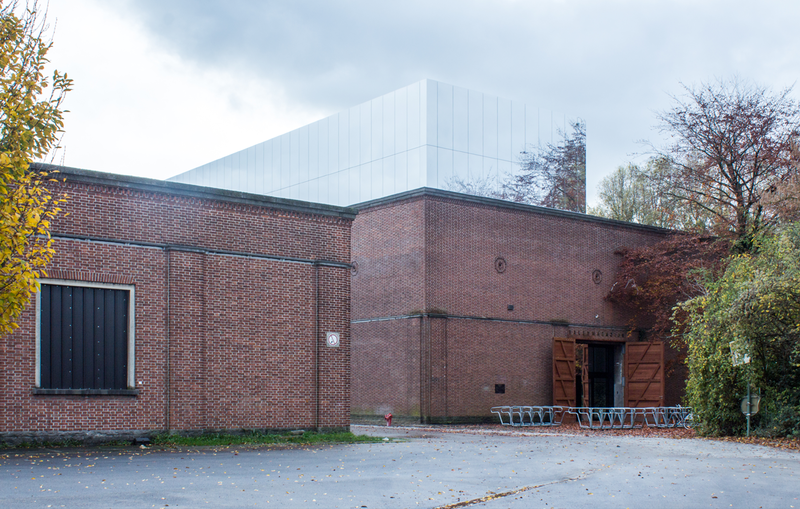 This former warehouse will now host a canteen, offices and meeting rooms that can be used by the businesses located on the UCO site in Ghent. Seeing this project come to life (I was working at the office as a trainee when this project existed only as a maquette) has been a pleasure, so after giving you a peek into their studio in this blogpost, I wanted to share this project with you as well. For more info about TRANS, take a look at their website. 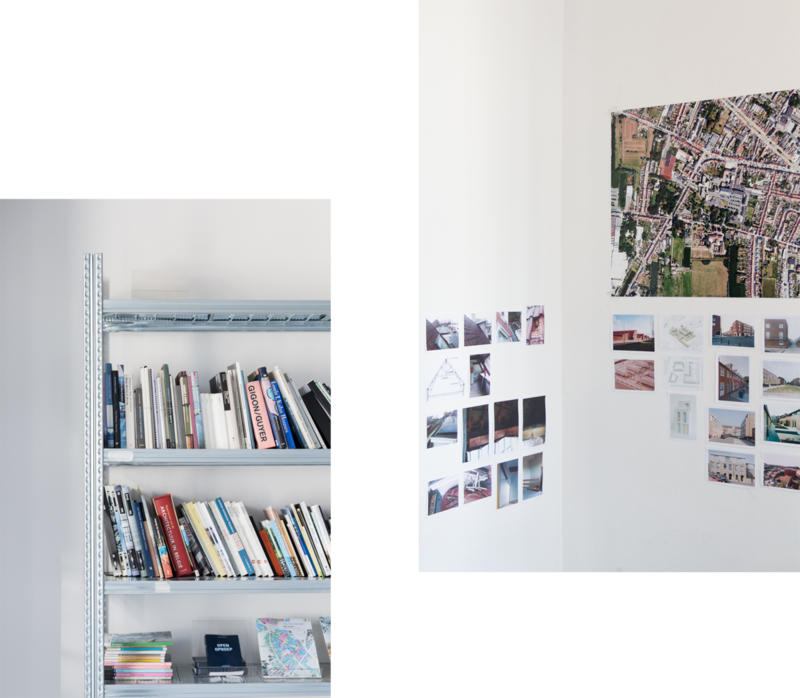 It’s been a while since I’ve shared some of my commissioned work, so today I wanted to give you a peek into the atelier of TRANS architectuur & stedenbouw, a Ghent based office for architecture and urban planning. What you can expect? White walls, lots of light, a big collection of inspiring books, an overload of schemes, plans and photos on the walls and a familiar face at work. Curious for the projects of TRANS? Take a look at their website here or keep an eye on the blog!